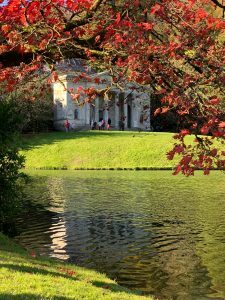 Stourhead gardens are widely regarded to be one of the finest landscape gardens in the world and are a feast for the eyes whatever the season! As you stroll through the decadent scenery it’s as if you’ve stepped straight into an Italianate style oil painting … or maybe even a scene from Pride & Prejudice, which was indeed filmed here! 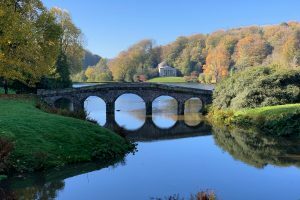 With easy road access from the A303, Stourhead, near Mere in Wiltshire, makes for a magical day out or even two. 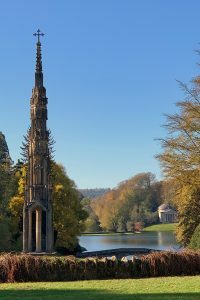 There are numerous attractions to visit within the 2,650-acre estate including a Palladian Mansion, the village of Stourton, Alfred’s Tower and of course Stourhead Garden itself. In 1946 Stourhead was bequeathed to the National Trust. 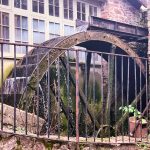 The estate itself dates back to medieval times and was the property of the Stourton family for over five hundred years. The family members are buried in a vault under St. Peter’s, a medieval church which stands on the periphery of the 18th-century gardens. 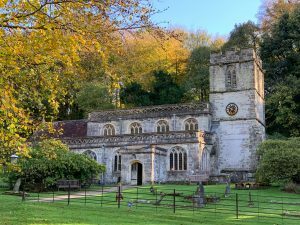 The church is often overlooked by visitors as they walk towards the gardens, but it’s truly worth a visit. It’s here that you get a real sense of the history of the estate and can see memorials to the families that resided here throughout the centuries; from the early 15th and 16th-century effigies of the Stourton family through to elaborate 18th and 19th-century plaques in memory of the Hoare family. 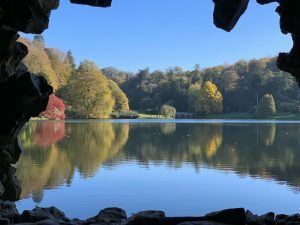 Charles Dickens wrote, ‘Nature gives to every time and season some beauties of its own…’ and this could not be truer than for Stourhead Garden itself. 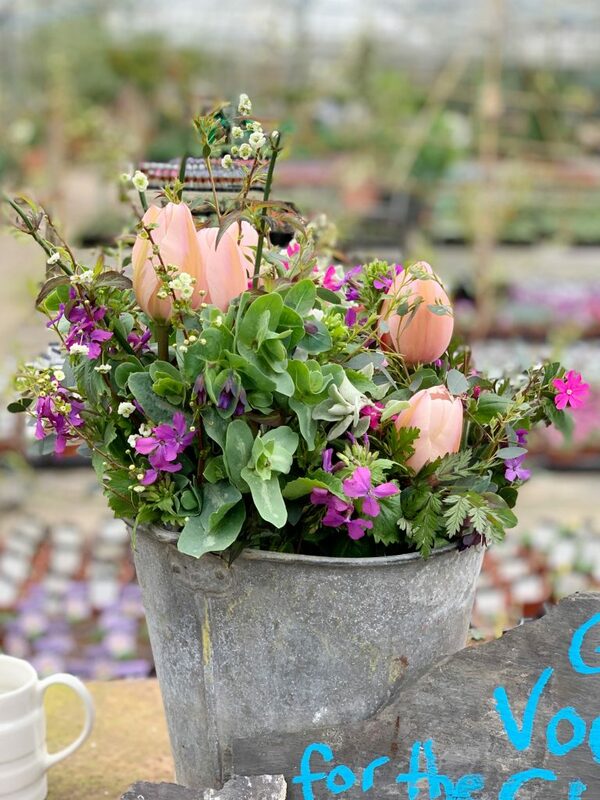 With each and every season the garden takes on a different aspect, from the burgeoning of Spring with its vibrant hues of fresh green foliage and spring bulbs through to the glorious fiery copper leaves of Autumn; and the statuesque skeletal trees of Winter. 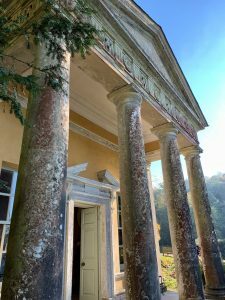 The story of the gardens begins with Henry Hoare II (1705-1785), aka The Magnificent, who inherited the estate upon his father’s death in 1719. He was a partner at the family bank C. Hoare & Co. founded by his grandfather, which incidentally is the oldest private bank in Great Britain today. Henry was a keen art collector and much of his collection of art and sculpture can be viewed today at Stourhead House. It was his passion for art and a visit to Italy during the ‘Grand Tour’, in 1741, that inspired him to embark upon constructing what has become one of the greatest landscape gardens in the world. The area where Henry decided to create his garden was in a secluded valley to the west of Stourhead House with the River Stour (of which the source is less than a mile upstream) running through it. He built a dam to flood the two existing fish-ponds and so create the large artificial lake that we can see today. This was to become the centrepiece of his garden around which numerous classical follies were built. This extensive building project took a couple of decades to reach fruition from its concept in 1741. Many of the follies were constructed before the artificial lake itself was finally created in 1755. Henry’s passion for his garden continued unabated throughout the rest of his life and in 1776 when in his early seventies, he created a new entrance to the Grotto. Henry Flitcroft was an eminent 18th-century architect, a protégé of Lord Burlington, who was engaged by Hoare to work on his project at Stourhead. He was instrumental in designing many of the buildings including the Grotto, Pantheon, Temple of Apollo and Temple of Flora, sited strategically around the lake creating the perfect juxtaposition between nature and Classical Architecture. 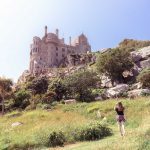 On arrival at each of the follies, a new and exciting vista is revealed to the visitor. Henry handed Stourhead over to his grandson, Richard Colt Hoare, in 1783, two years prior to his death. 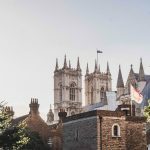 By the beginning of the 19th century, the Gothic Revival movement had started to gain momentum in Britain and Richard decided to make alterations to an existing cottage by the lake. 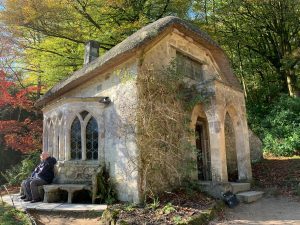 He added the Gothic decoration, the external stone seat and a porch transforming a somewhat insignificant cottage into a prominent garden feature. 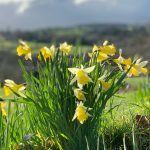 It’s easy to imagine that visiting and admiring grand country houses and their gardens is a relatively modern phenomenon, however, it was an increasingly popular pastime in the 18th and 19th centuries for the wealthier in society. 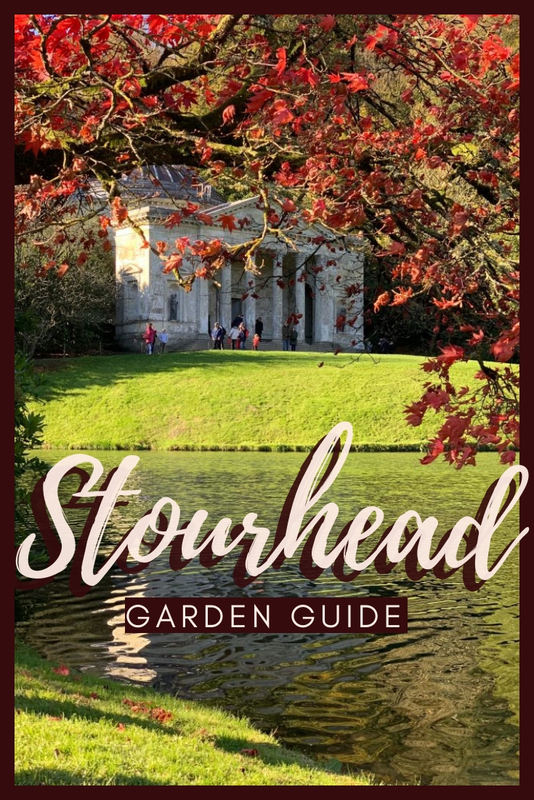 Stourhead was no exception, and the new exciting garden made it the go-to destination. Even John Wesley, the co-founder of Methodism, visited in the 1770s and noted in his journal, ‘I spent two hours in Mr Hoare’s gardens at Stourton. I have seen the most celebrated gardens in England, but these far exceed them all.’ However, he was rather shocked upon visiting the Pantheon and wrote, ‘I cannot admire the images of devils’. The visitors would have stayed at the Stourton Inn, which is now known as the Spread Eagle Inn and still offers accommodation. Jane Austen’s Pride and Prejudice (2005) starring Keira Knightley as Elizabeth Bennett and Matthew Macfayden as Mr Darcy. Agatha Christie’s Miss Marple: Nemesis (1987) A film produced for television. Barry Lyndon (1975) starring Ryan O’Neal as the Irish rogue and directed by Stanley Kubrick. Stourhead is just a short drive from the A303 and there is an extensive parking area for both cars and coaches. The parking is free to National Trust members otherwise there’s a fee. There are toilets, baby changing facilities and accessible toilets at a number of locations. 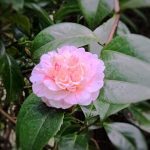 However, there are no facilities within the garden itself. Nunney – Romantic ruins of a 14th-century moated castle set within a charming village. 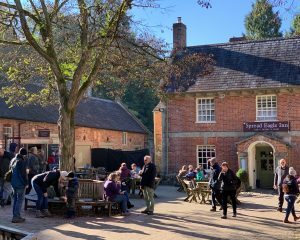 A good village pub or there’s the Moat and Turret – a dog-friendly cafe offering light lunches. Alfred’s Tower – Part of the Stourhead Estate but a few miles by car from the House and Gardens. There’s a car park on site and separate entrance fee if not a N.T. Member. The tower has a spiral staircase with over 200 steps, but when you finally climb to the top the views are stunning. Longleat House and Safari Park – An impressive Elizabethan property that’s home to the 7th Marquess of Bath and boasts seven libraries housing around 44,000 books!